Have you ever read (or watched) Dinotopia? It is a book (and TV) series about a land where dinosaurs never went extinct. Not only that, but they also managed to create a civilization where humans and “saurians” live together in relative harmony. What always fascinated me in Gurney‘s work was the idea of reptiles, in this case dinosaurs, manifesting social behaviour paralleling humans’. Unfortunately, reptiles have, in comparison to mammals and birds, been disregarded in vertebrate social behaviour research. In their review, Doody, Burghardt and Dinets (2013) discuss the reasons behind this neglect. They describe how reptiles have traditionally been placed in the ‘non-social’ category of the ‘social–non-social’ dichotomy. According to them, this dichotomy is too simplistic and therefore deceptive as it fails to represent the variety of social systems in the animal kingdom. In fact, studying reptile social behaviour should help understand the mechanisms and evolution of complex social behaviour. The bias in research towards mammals and birds can be explained by the fact that it is easier to study “vertebrate groups whose communication systems are more salient to human sensory perception” (Doody et al. 2013, p. 96). Besides, the inconspicuousness of reptiles and their nests creates an apparent absence of social behaviour in these animals, especially parental care. And let us not forget other human originated obstacles, such as the difficulty to get funding for such studies. For some species, at least, social behaviour is observable in the egg stage. For example, pig-nosed turtle Carettochelys insculpta embryos make hatching happen faster when they sense vibrations coming from their siblings. Embryos of Nile crocodiles Crocodylus niloticus can adjust the synchronization of hatching and stimulate mothers by vocalizing. 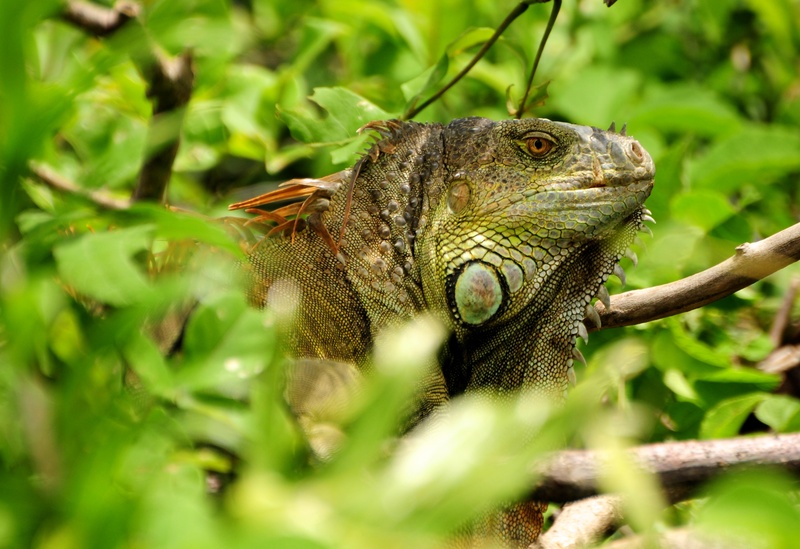 Parental care is rather rare, but tuataras Sphenodon punctatus and iguanas stay with the eggs for several days. 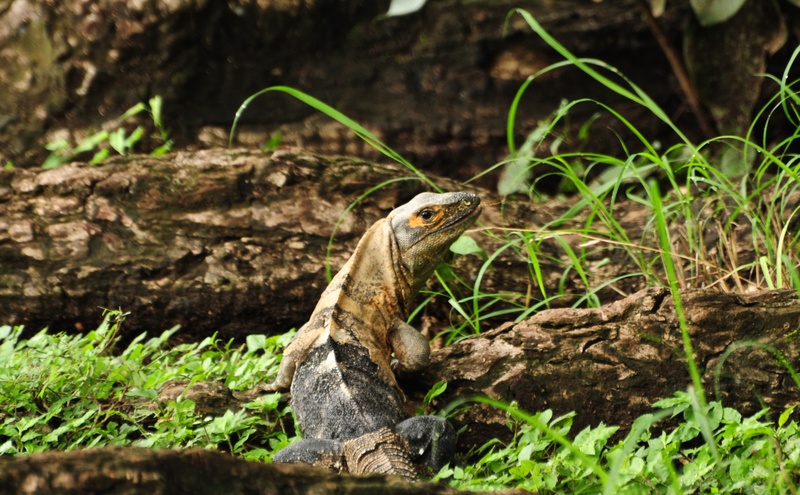 Hatchling iguanas lacking packing parental care protect themselves using group vigilance. 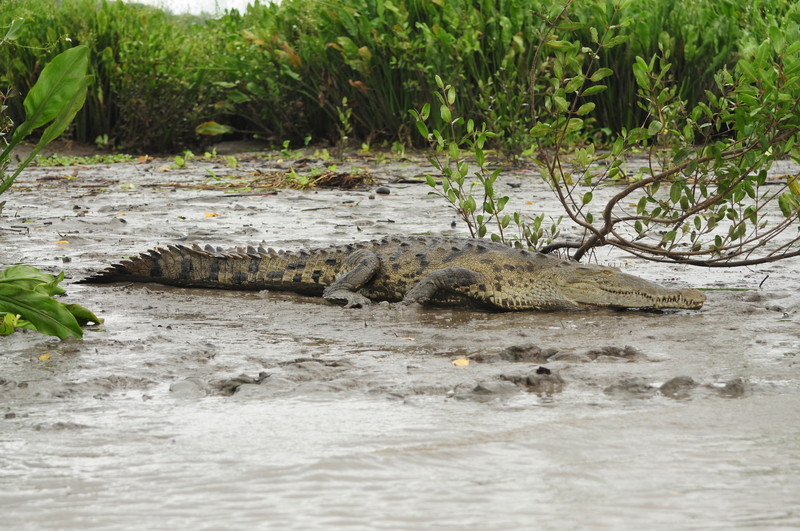 Crocodilian mothers stay for the whole incubation period and beyond! They excavate and break the eggs, communicate vocally with their eggs and hatchlings, carry hatchlings to water, feed and protect them. Biparental care, which is the norm in vertebrates like canids and cichlids, has actually been recently documented in crocodilians (Brueggen, 2010, and Whitaker, 2007, cited by Doody et al. 2013). Another pic of the same iguana, just ’cause it’s so gorgeous. What about social behaviour beyond parental care? 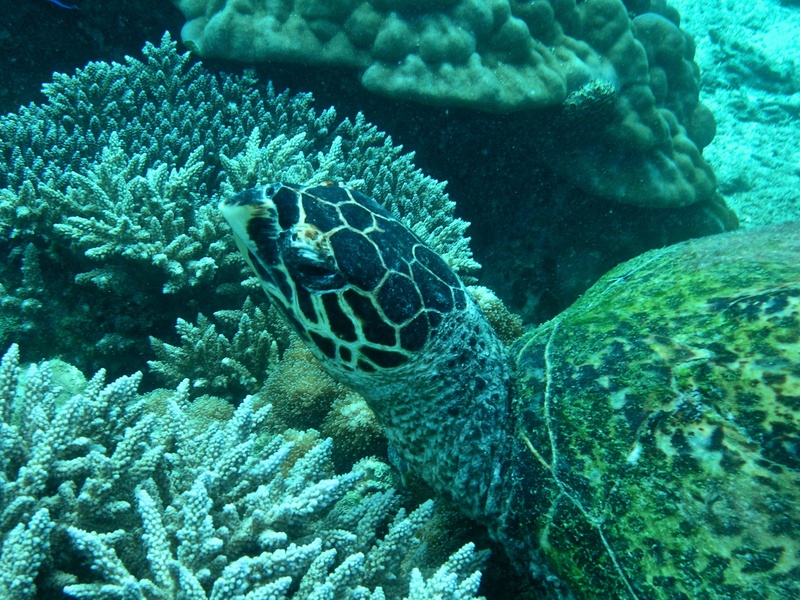 For one thing, snakes, lizards, turtles and crocodilians display conspicuous territoriality visible through the signals, postures and combats of males. In addition, it is common for some lizards to form large and stable social groups. 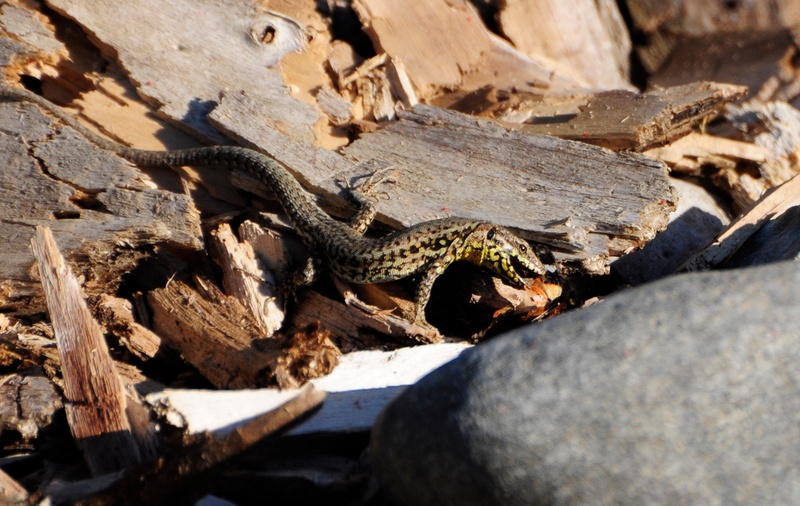 The ones formed by lizards of the genus Egernia show “kin recognition, inbreeding avoidance mechanisms, parental care, group antipredator behaviors and long-term social and genetic monogamy of up to 20 yr” (Doody et al. 2013, p. 98). 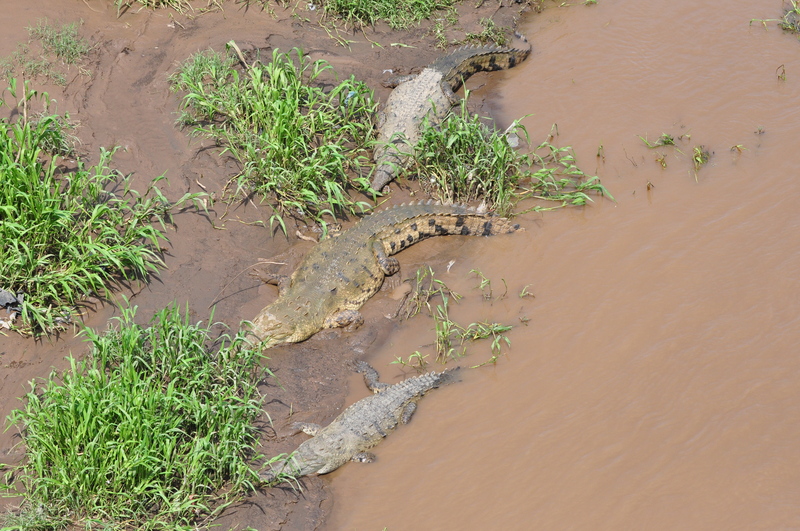 Cooperative breeding occurs in broad-snouted caimans Caiman latirostris and other caimans and alligators as they form multi-parental crèches. In any case, much research is necessary to be able to correctly estimate the proportion of reptile species to live in groups. Cooperative hunting is another example of an advanced behaviour not formally depicted. As you can see in this BBC video, banded sea kraits Laticauda colubrina are sea snakes that compensate for their slowness by hunting communally. Alligators Alligator mississippiensis have also been observed feeding cooperatively (Dinets, 2010). They can gather in small areas where water depth does not exceed 50 cm and spend up to 6 hours circling the area and catching fish. I should mention as well that reptiles have complex mating systems, which include polygyny, polyandry, monogamy and parthenogenesis, accompanied by varied courtship behaviours. Social play has, too, been recorded in crocodilians, lizards and turtles. Perhaps, in real life, reptiles do not exactly parallel human social behaviour, but they are definitely not ‘non-social’. There is a lot more to learn about them and I am excited for what new information future research will bring. DISCLAIMER: I am not a professional herpetologist, so I might have made mistakes in identifying the animals presented in the photographs. If you have spotted an error, please feel free to correct me in the comment section. Symonds, D. (Producer) & Brambilla, M. (Director). (2002/II). Dinotopia [TV series]. Worldwide: Hallmark Entertainment Distribution LLC. If Dinosaurs never went extinct, we would be REPTILES! This entry was posted in Recent Findings and tagged alligator, Animal Behaviour, Biology, caiman, Dinotopia, Ethology, iguana, lizard, Reptiles, Research, Social Behaviour, turtle, Vertebrates, Zoology on January 25, 2013 by Ria Pi.